One chilly morning last winter, I reconnected with an old friend, Joel Dietz, on a video chat. We hadn’t seen each other for years, and we’d each had several starts and stops in our lives since. He began telling me about his latest undertaking, Evergreen, a digital currency system that he described as “organic” and “without additives.” I was doing all I could to understand it, and he was struggling to fund it in a way that suited his vision. He needed money, and quickly, but he didn’t want to sabotage his ideals in the process. Swarm would be a crowdfunding platform, using its own virtual currency rather than dollars; rather than just a thank-you or a kickback, it would reward backers with a genuine stake in the projects they support. Entrepreneurs could sidestep the VCs by turning to a “swarm” of small investors — and maybe supplant the entire VC system. By the end of the summer, he’d raised more than a million dollars in cryptocurrency. The legality of the model is uncertain, but the feds haven’t come knocking yet. Dietz is part of a subtle insurgency taking place, one of bylaws, financing schemes, and ownership structures. The details can seem abstruse, but the craving is everywhere. High hopes for a liberating Internet have devolved into the dominance of a few mega-companies and the NSA’s watchful algorithms. Platforms entice users to draw their communities into an apparently free and open commons, only to gradually enclose it by tweaking terms of service, diluting privacy, or charging fees for essential features. Thanks to users’ unpaid labor of friending and posting, tech companies can employ far fewer people, and extract five to 10 times more profit per employee, than businesses in other industries. Fiduciary responsibility to their investors requires that they turn on the people who made them successful. Those people are turning on them back. Oculus Rift raised $2.4 million from fans on Kickstarter, then enraged backers by selling to Facebook for $2 billion. Users frustrated with an increasingly ad-friendly Facebook started flocking to Ello (whose “manifesto” eschews advertising and selling user data) and Tsu (which pays its users for their contributions) — but when Ello took venture capital, its boosters started to flee. Reddit’s finicky users have succeeded in preventing the company from turning profitable with intrusive ads or selling data; it’s now in the process of setting up a Swarm-like digital currency scheme to share 10 percent of new equity with users. The line between workers and customers has never been so blurry. Online platforms depend on their users, and pressure is mounting all over the Internet. People are tired of seeing their communities treated like commodities, and they’re looking for ways to build platforms of their own. VC-backed sharing economy companies like Airbnb and Uber have caused trouble for legacy industries, but gone is the illusion that they are doing it with actual sharing. Their main contribution to society has been facilitating new kinds of transactions — for a fee, of course, to pay back to their investors. “The sharing economy has become the on-demand economy,” laments Antonin Léonard, co-founder of the Paris-based network OuiShare, which connects sharing-economy entrepreneurs around the world. 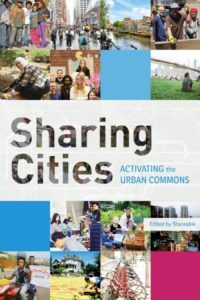 The notion that sharing would do away with the need for owning has been one of the mantras of sharing economy promoters. We could share cars, houses, and labor, trusting in the platforms to provide. But it’s becoming clear that ownership matters as much as ever. Whoever owns the platforms that help us share decides who accumulates wealth from them, and how. Rather than giving up on ownership, people are looking for a different way of practicing it. OuiShare, for instance, is starting to prioritize supporting new projects that bake new models of ownership — that is, real sharing — deep into their business model. Léonard and his collaborators are part of a widespread effort to make new kinds of ownership the new norm. There are cooperatives, networks of freelancers, cryptocurrencies, and countless hacks in between. Plans are being made for a driver-owned Lyft, a cooperative version of eBay, and Amazon Mechanical Turk workers are scheming to build a crowdsourcing platform they can run themselves. Each idea has its prospects and shortcomings, but together they aspire toward an economy, and an Internet, that is more fully ours. One kind of narrative is that a more collaborative, less unequal future will happen almost by itself. Jeremy Rifkin, a futurist to CEOs and governments, contends that the Internet-of-things and 3-D printers are ushering in a “zero marginal cost society” in which the “collaborative commons” will be more competitive than extractive corporations. Investor Brad Burnham of Union Square Ventures has predicted that a new crop of grassroots “skinny platforms” will spell trouble for behemoths like Uber. Sharing economy expert Arun Sundararajan expects that once the VC-backed sharing companies clear away regulatory hurdles, local co-ops will be poised to swoop in and spread the wealth. These stories are certainly possible, even plausible. But they’re also a bit like expecting Amazon to usher in a renaissance of local bookstores; big companies seeking big profits for the investors who own them tend to get their way in this economy. People are recognizing that doing business differently will require changing who gets to own what. When the Occupy movement spread to Wellington, New Zealand, in 2011, Ben Knight says, “It seemed like the perfect social movement.” Before that, he had been studying cognitive science, working with primates to understand the evolution of group learning — and he saw group learning take place in the movement’s consensus-based assemblies. “It was the collective intelligence angle that got me really, really interested in the beginning,” he recalls. Soon, Knight went from the perfect movement to the perfect tech company. He and fellow Occupiers took the best of what they’d seen in Occupy’s kind of direct democracy and made it available to the world in the form of an app — Loomio, they called it. And they built their organization to reflect Occupy values as thoroughly as they could: It’s a worker-owned cooperative that produces open-source software to help people practice consensus — though they prefer the term “collaboration” — about decisions that affect their lives. Only after Loomio incorporated did its team notice that it was the only worker-owned cooperative registered in New Zealand. The worker cooperative is an old model that’s attracting new interest among the swelling precariat masses — youthful and idealistic, but with dwindling chances of finding an old-fashioned job. Co-ops help ensure that the people who contribute to and depend on an enterprise keep control and keep profits, so they’re a possible remedy for worsening economic inequality. And they can take many forms. Loomio and other tech companies, for instance, are aspiring toward the model of a multi-stakeholder cooperative — one in which not just workers or consumers are voting members, but several such groups at once. It’s the ideal model for an Internet that doesn’t draw clear lines between employees and users. But it’s easier said than done. Loconomics is a San Francisco-based startup designed, like TaskRabbit, to manage short-term freelance jobs; but unlike TaskRabbit, administrators and freelancers alike will be members with equal voting rights. The Sustainable Economies Law Center is advising the project, and others like it, on the strategy and the paperwork. AsLoconomics prepares to begin operations this winter, it’s running out of the pocket of the founder, Josh Danielson — a far cry from the millions that TaskRabbit raised from investors in its early years. The ambition of a cooperative Facebook or Uber — competitive, widespread, and owned by its community — still seems out of reach for enterprises not willing to sell large parts of themselves to investors. Organizations likeThe Working World and the Democracy Collaborative have been developing models of financing suited for co-ops, but they’ve tended to focus on local or industrial businesses, not so much the lean-and-leveraged strategy of a tech startup. 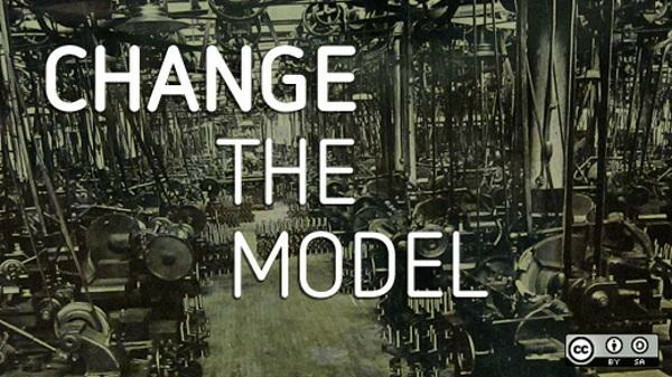 A cooperative tech economy might require very different ways of operating. Few have been so successful at turning hacking into sharing as Casey Fenton. In 2003, he foundedCouchSurfing, one of the original sharing economy platforms, which built relationships around the world by connecting travelers, free of charge, with the spare couches of trustworthy strangers. But the community-driven heyday didn’t last. After the IRS failed to recognize CouchSurfing’s activities as charitable, it transitioned from a non-profit to a for-profit B Corporation in 2011. In that form, it raised millions in venture capital, but saw a precipitous decline in vibrancy. Much of the once-loyal user base turned against the company. Fenton’s new undertaking, Sovolve, proposes to “create innovative solutions to accelerate social change,” much as CouchSurfing did, but it’s doing the innovating cautiously. All work is done by worker-owners located around the world. Sovolve uses an internal platform — soon to become a product in its own right — through which contributors decide how much they want to be paid in cash and how much in equity. They can see how much others are earning. Their virtual workplace is gamified, with everyone working to nudge their first product,WonderApp, into virality. In the process, they’ve invested more than $1 million worth of unpaid work — $1 million less that Fenton needs to seek from traditional investors. Open-source software and share-alike licenses have revived the ancient idea of the commons for an Internet age. But the “commons-based peer production” that Sensorica seeks to practice doesn’t arise overnight. Just as today’s business culture rests on generations of accumulated law, habit, and training, learning to manage a commons successfully takes time. Like Sovolve, Sensorica pays workers for their contributions to the product. Unlike Sovolve, they participate in the company democratically. Everything from revenues to internal criticism is out in the open, wiki-style, for insiders and outsiders alike to see. The whole company, not just the product, is open source — sharing not just code but profits. Progress has been slow, though. Only one device has been sold, and the 3-D modeling and printing business barely supports one person. At the same time, Brastaviceanu is getting more and more calls from people interested in adapting the model Sensorica has pioneered. He believes a change along these lines is coming. “It’s inevitable,” he says. If this is true, one reason may be Bitcoin. It is becoming increasingly clear that the technology underlying the digital currency — a secure network that doesn’t rely on any central server or authority — is good for a lot more than currency. It makes possible decentralized autonomous organizations, or DAOs, which exist entirely on a shared network. While a conventional corporation, for instance, exists because of documents held by the corporation itself and a government, the code that defines a DAO is shared across the network. On this kind of open-source platform, an organization like Sensorica actually starts to seem more sensible than closed-source alternatives. The most ambitious successor to Bitcoin, Ethereum, has raised more than $15 million in crowdfunding on the promise of creating such a network. With it, proposals have been made to develop decentralized social networks, Airbnb-like rental services, Dropbox-like file-sharing systems — even an entirely new Internet — all with technology that makes collective ownership a lot easier than a conventional legal structure. A project calledEris is developing a collective decision-making tool designed to govern DAOs on Ethereum, though the platform may still be months from release. For now, the burden of reinventing every wheel at once makes it hard for companies like Sensorica and Loomio to compete. In tech culture’s rush for making all things new, it may be overlooking older approaches to the challenges of community ownership and financing. People have been trying, after all, to build alternatives to concentrated wealth and ownership for a long time. For instance, Cutting Edge Capital specializes in helping companies raise money through a long-standing mechanism called the direct public investment, or DPO, which allows for small, non-accredited investors. It involves neither Swarm’s Bitcoin-like technology, nor the murky new crowdfunding investment provisions in the 2012 JOBS Act that AngelList is relying on lately. Cutting Edge Capital is trying to bring the DPO into the digital age with a new online marketplace for investors, but few of Cutting Edge Capital’s clients have been tech companies. Part of the problem may be that DPOs require state-by-state registration, which makes it hard to cast a wide net for funders. CEO Jenny Kassan suspects it is also partly a matter of culture — in many people’s minds, tech culture is synonymous with fast-and-furious venture capital. “Everyone knows that the model is broken,” she says, “but it still has this prestige factor.” And, for the moment, easy money is hard to beat. Swarm has competition. During its early months, when Joel Dietz was first trying to get his idea off the ground, he talked with a lot of people about it. Many of them liked it. Some of them liked it so much that they found investors, and persuaded them to like it, and to finance a company of their own. Venture funding may be in competition with Dietz’s cryptoequity vision, but it provides a fearsome head start. For those hoping to mend the inequality of the existing economy, Swarm’s competition makes it hard not to notice the inequalities built into the models vying to disrupt the status quo. Bitcoin’s micro-economy holds the dubious distinction of being more unequal than the global economy as a whole. On a sharing platform, who owns, and who just rents? In an economy of cooperatives, who gets to be a member, and who gets left out? And in a workplace like Sovolve built on sweat equity, some people can afford to work for less cash upfront than others; those who have some already will be poised to end up with a lot more than those with less. Sooner or later, transforming a system of gross inequality and concentrated wealth will require more than isolated experiments at the fringes — it will require capturing that wealth and redirecting its flows. This recognition has been built into some of the most significant efforts under the banner of the so-called “new economy” movement. They’re often offline, but that makes them no less innovative. Building on the model of the Evergreen Cooperatives in Cleveland, the Democracy Collaborative helps seed new cooperative enterprises by connecting them to large anchor institutions in their communities; hospitals and universities with deep pockets can help a new enterprise become viable much more quickly than it can on its own. In France, OuiShare supports new collaborative business models through partnerships with its own set of anchor institutions — including MAIF, an 80-year-old mutual insurance company, and the public train operator SNCF. A less consensual strategy was employed to fund the Catalan Integral Cooperative in Spain; over the course of a few years, one activist borrowed around $600,000 from Spanish banks without paying any of it back. Government is an important source of support, too. Perhaps more than some go-it-aloners in tech culture might like to admit, a new economy will need new public policies to level the playing field between traditional corporations and collaborative enterprises. In Jackson, Mississippi, Chokwe Lumumba was elected mayor in 2013 on a platform of fostering worker-owned cooperatives, although much of the momentum was lost when Lumumba died just a few months later. This year in New York City, for the first time, co-op advocates secured public funds to support training programs that will help the sector grow — and other cities are taking similar steps. Governments already subsidize business as usual, and they need to be pressured to encourage more just alternatives instead. This is not the first time people have longed to replace owning with sharing, to forgo property through community. In the Middle Ages, say: The early followers Francis of Assisi at first sought to do away with property altogether, to use without having to own. It may be an ambition worth pursuing. But to ensure their autonomy, and to protect their growing movement in the feudal world in which they lived, the Franciscans ended up having to hold communal property, though they managed it very differently than the neighboring lords did. There are many ways to own. Simply giving up on ownership, however, will mean that those who actually do own the tools that we rely on to share will control them. People who want an economy of genuine sharing are coming to recognize that they must embrace ownership — and, as they do, they’re changing what owning means altogether.